People living anywhere in the US will find themselves in need of homeowners insurance. This is also true of people who live in Arizona. Homes here face unique desert conditions and a variety of urban and rural atmospheres. There are many reasons to insure your home in Arizona. 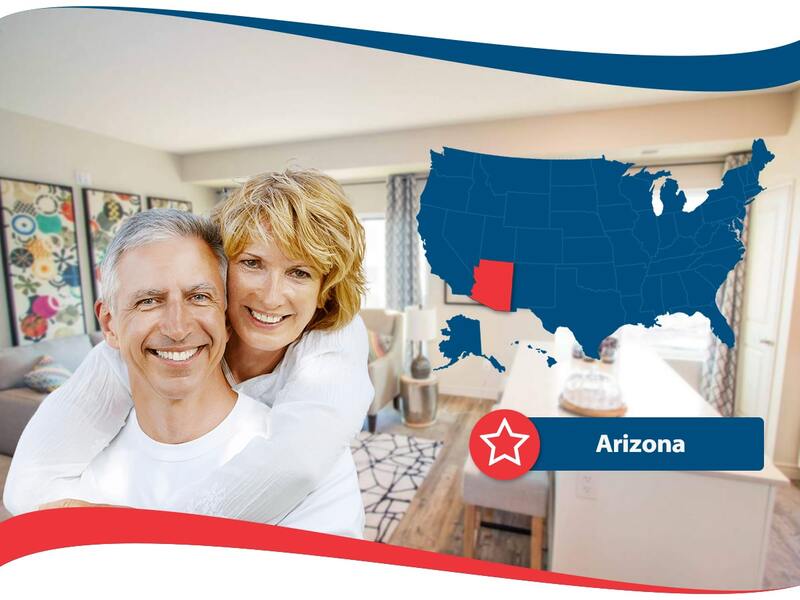 Arizona Home Insurance is one company that creates homeowners insurance plans for the residents of this fine state. What do they offer? This is the most basic type of home insurance that covers every sort of thing you can imagine. They have something called Guaranteed Replacement Cost which guarantees the replacement of your home if anything happens to it. Of course in the midst of some natural disaster you don’t want to be worrying about money. You need to focus on your family and safety. They even offer a discount if you get your homeowners insurance online. It pays to be computer savvy when it comes to Arizona Home Insurance. If you plan on renting out your property then you will need some landlord insurance. This is because you’re not going to be at the property all of the time and you won’t be responsible for what other people do. Tenants may seem responsible and trustworthy but things change. You never know what can happen and you want to protect your investment. Landlord insurance will require you to create an official lease with your tenants, and if you live more than 150 miles away, you will have to enlist the help of a property management company. With this type of insurance you get 150% extended replacement coverage. This covers you in the loss of your home, and the loss of rental income, as well as $5,000 towards the loss of any personal property. This is a very important type of insurance to acquire for Arizona landlords who want to provide the best for their tenants. There are many beautiful locations for seasonal homes in Arizona. These homes need special home insurance plans because they have different needs than other homes. With seasonal homes, Arizona Home Insurance typically requires you to have your main home insured with them as well. However, you may have a standalone insurance policy if your main residence is not in the United States. The company reports that seasonal home insurance policies are very similar to regular homeowners insurance policies. Arizona Home Insurance does the footwork to figure out your coverage needs. First they look at how old your home is, and what the size is. Of course they take into account where it is located as well. Then they look at the public records for your home to determine other factors that may come into play when you are searching for homeowner’s insurance. Of course if any of the public information needs updating, they will take any new information into account. That’s how you will get your Arizona Home Insurance quote. Well, it’s already been mentioned that this insurance company offers a discount if you go online to look for a quote. However, there are some benefits to working with an agent as well. You can find someone that you trust and that you would like to talk to about your insurance needs. That way when something happens and you need to file a claim, you’ll be able to trust your agent to help you. Some people just like the personal touch that finding a homeowners insurance agent provides, while others do prefer the anonymity of an online transaction. Many of the agents who work with Arizona Home Insurance are bilingual, speaking both English and Spanish, or English and Chinese. This is very important because AZ is quite a diverse state with plenty of Hispanic people and others from all over the world who appreciate the warm desert climate. This insurance service is so easy to use. They make it that way because it allows you to file an insurance claim online right on the website. They also have a great customer service team in case you have any questions. They even have a live support page where you can do a live chat with someone who is an insurance specialist who will help you find the answer to whatever questions you may have. This is an insurance company that is by Arizonans and for Arizonans. The office of Arizona Home Insurance is right in Phoenix, the heart of the state. The people here know Arizona and they know what your insurance needs are. AZ Home Insurance is part of the Western Mutual Insurance Company which has been providing residents of western states with insurance for over 70 years. They provide great insurance coverage to residents of California, Colorado, Nevada, New Mexico, Texas, Utah and of course, Arizona. All salespeople, customer service representative and many other employees are officially licensed and knowledgeable about insurance in these locations.